Eurogamer who called it the best shooter on iOS. 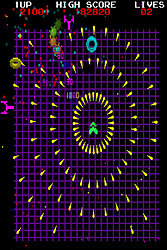 ArcadeLife who rated the game 94/100 and said it was pure arcade classic reinvention on a touch-screen device. 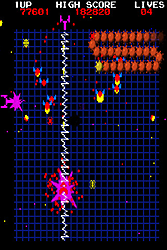 Touch Arcade who called it a retro remake done right. Gridrunner was a much-loved and popular game on the Commodore Vic-20 and Commodore 64 back in 1982. 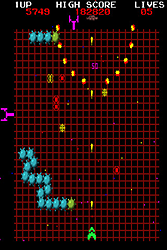 Here the game is reimagined by its original author in the style of an early 1980s coin-op arcade machine. A very belowed classic in a new modern shape. An ASTOUNDING game - it just feels right, and the sounds. My GOD, the SOUNDS! It's like having every arcade machine in the world tucked into your iOS device!